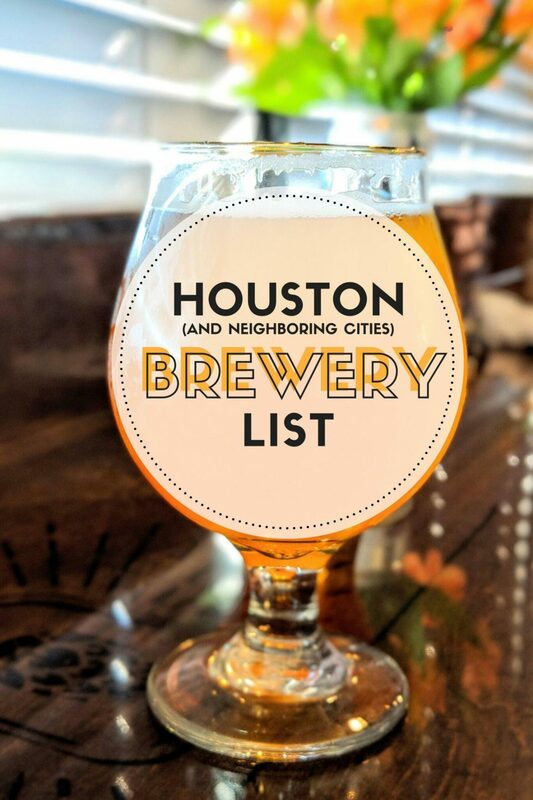 List of local Houston breweries within and without of Houston city limits. Find breweries from The Woodlands down to Galveston. When Brad and I first met one of the things we really bonded over was a love for beer. Over the 8 years we’ve been together we’ve sipped and tested probably somewhere in the realm of 400 different beers. It’s honestly probably more than that but Untappd wasn’t exactly around back when we first started trying to find craft brews. With trips to Asheville and the abundance of local pours opening up here in Houston. It’s been rather easy to stretch our taste for beer wherever we go. While I have gone more towards craft cocktails, especially since opening this blog. However, Brad and I still love to go find new beers to try when we can. It’s kind of like a traditional date night for us that usually ends up with us making plenty of beer friends. Plus we love the science behind how beer is made, so a brewery tour is always a welcomed way to spend a Saturday. With that said more and more brick and mortar breweries are opening up in Houston and it’s surrounding areas. It’s such a fun experience to meet the people behind the brews and hear the thought process it took to make what you are drinking! That’s why I wanted to share with your a master list of Houston’s breweries. You can find breweries even up to Conroe and as far down as Galveston. So get on out there and support your local brewer and get to know your city taps a little better.